Are you happy, or Happyish? Or neither? Or both?! Here’s what’s up in the world of TV for Sunday, April 26th. All times are Eastern. Bob’s Burgers (Fox, 7:30 p.m.): Ah, Bob’s Burgers, we missed you so. As much as we hate to see Gene flirt with giving up his musical dreams once his band goes south, we love to see you back, show. Alasdair Wilkins returns to cover this episode, titled “Itty Bitty Ditty Committee,” and he promises to be a perfect gentleman throughout. Probably. The Simpsons (Fox, 8 p.m.): Yet another Fox show returns! This time, home videos give everyone insight into why Lisa and Bart started fighting. Dennis Perkins knows the tape doesn’t lie. Brooklyn Nine-Nine (Fox, 8:30 p.m.): The Nine-Nine is also back and the long winter of our discontent is over! 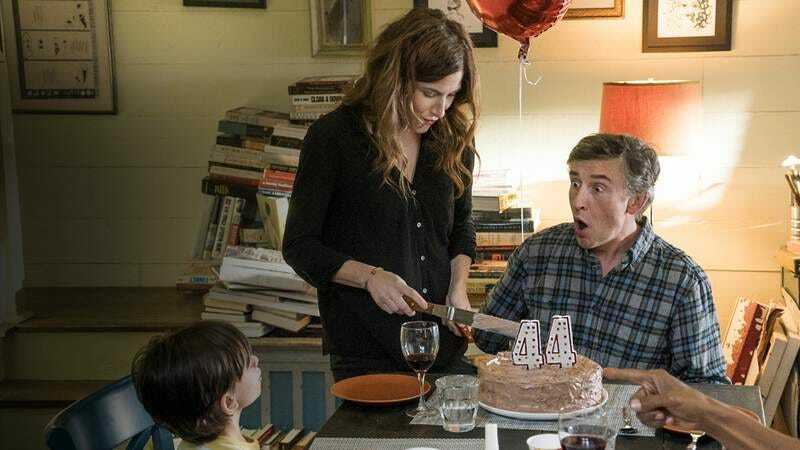 Tonight, Jake gets injured, but more importantly, the ever stoic Holt and Rosa have to navigate being at a dinner party together without getting too personal. LaToya Ferguson is sure her invite just got lost in the mail, so weird, don’t worry, she was busy anyway. We once again take over the “Watch This” section for a week of great episodes from television inspired by literature. Tomorrow, Erik Adams delves into the underrated classic of our time that showcases an underrated talent of our time: Gossip Girl’s “Blair Waldorf Must Pie,” starring Leighton Meester and her perfect hair. Chef’s Table (Netflix, 3:01 a.m.): Netflix keeps insisting on releasing content on a regular basis, which means we are perpetually behind on our television watching. The latest is Chef’s Table, a six-part documentary series that focuses on a different chef from around the world every episode. It seems fun! Or at least a decent placeholder if you were as devastated as we were when Netflix took down all the episodes of Anthony Bourdain’s No Reservations. Radio Disney Music Awards 2015 (Disney Channel, 8 p.m.): We’d say this is where you can find the youth of America tonight, but seeing how the winners were already announced and the youth is definitely busy on the internet instead of tuned into an actual television set, that would be lying to you and we treasure you too much to do that. Instead, we’ll ask you if it’s really fair that Fifth Harmony beat out One Direction even if Zayn did abandon them in 1D’s time of need, and enjoy watching your eyes glaze riiiight over. 42nd Annual Daytime Emmy Awards (POP, 8 p.m.): Not pictured: the youth. A.D.: The Bible Continues (NBC, 9 p.m.): This episode is titled, “The Wrath,” but it’s not about the Old Testament, so your guess is as good as ours! Comedy Bang Bang: “Lil Jon Wears A Baseball Cap And Sunglasses.” Need we say more?